This little beauty was so perfect. She was so little but doing so great. 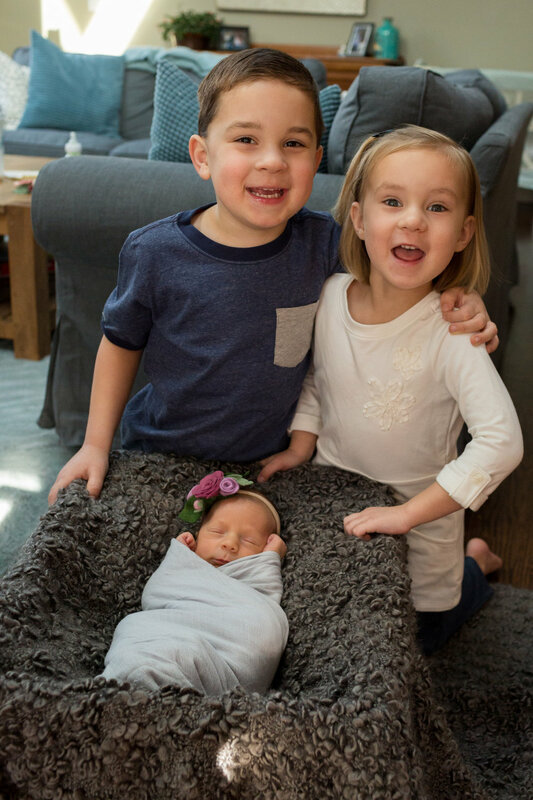 She was born at 35 weeks and her family couldn't be more excited about her. Her big brother and sister got home halfway through the session and got to show her off. Their faces said it all! Congratulations on your new little girl! She's a doll! Side note: The felt flower heard bands were made by Floramade.